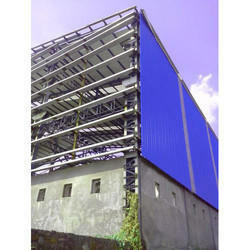 We also Provide Metal Claddings Service to our clients. Metal Claddings Service is offered can be made available by us .For lasting performance, these claddings can also be provided with surface coating choices of PE and others. Some of its features include available in different color choices, light weight rigid contraction finish, resistant against string pressures, superior heat-insulating and vibration damping properties, superior resistance against fire, suitability for use in exterior or interior decoration, ceiling cladding, auto industry and others. Looking for Metal Claddings Service ?